When it comes to having relationship baggage, I think Fang Hui wins it, hands down. Who would have thought that the quietest girl in class would have some crazy scandalous and dramatic secret. Let’s just say that she and Chen Xun are in for one awkward talk when he finds out her secret. Now that Fang Hui and Chen Xun are officially dating, albeit secretly, they’re off to do coupley things like stroll around parks. He throws her a note in class (high school!) because let’s remember that they still didn’t have texting back then. Fang Hui later asks him to not pass her any more notes in class or joke around with her so much because she doesn’t want people to find out about them. Chen Xun says who cares if people found out that they’re dating, and teases her that she’s just afraid that Qiao Ran will stop bringing her breakfast after finding out. Poor Qiao Ran…you still got me on your team! While Fang Hui and Jia Mo are making lanyards during break, Chen Xun comes up to them and they get to talking about music and celebrity gossip. He asks Fang Hui whose music she likes to listen to and she says Leslie Cheung (RIP). Chen Xun breaks out his (really bad) Cantonese and starts singing a Leslie song for her. He then reads aloud an article from the paper about some celebrity who was once arrested. Jia Mo starts freaking out because she’s apparently a really big fan, and she can’t believe that someone as handsome as him went to jail. Don’t question that logic. Chen Xun tells them that humans are a mystery, and there are a lot of people who have secrets from their past that they don’t want people knowing. When Qiao Ran and Zhao Ye join them, Jia Mo updates them on the celebrity gossip and Zhao Ye couldn’t care less because he thinks it’s the present that matters. Jia Mo argues that if someone has a flawed past, then no matter how good they are now, they will never be perfect. Qiao Ran counters that he thinks the future is more important because you can’t change the past. Fang Hui agrees that the past shouldn’t hold too much importance, and Chen Xun looks at her kind of suspiciously. Jia Mo goes to find Su Kai to tell him that the school paper wants to write an article about the basketball team, so she’s here to interview him. Surprise, surprise, Jia Mo only asks him questions about his personal life, his likes and dislikes, and nothing about basketball. Su Kai’s type of girl? Long and curly hair. His favorite song? Backstreet Boys’ “Everybody.” Psh, NSYNC for life. Chen Xun and Fang Hui go on a cute little date to the guitar shop, and Chen Xun is apparently a regular around here. He even introduces her to the guitar teacher there. When he drops her off near her place, Fang Hui gives her one of the lanyard bracelets that she and Jia Mo were making earlier. She then tries to send him away quickly before anyone sees them hanging out close to her house. Before he goes, Chen Xun taps the palm of his hand three times, and Fang Hui asks him what it means. He whispers, “I’ll think of you.” Cute. 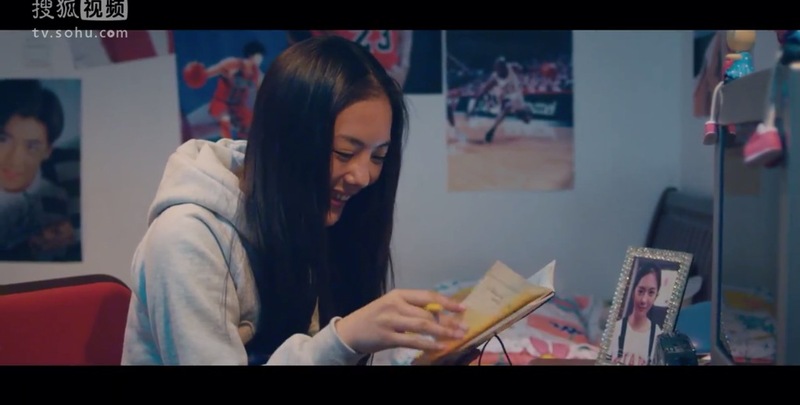 Jia Mo is busy jamming to some Backstreet Boys in her room while studying her Su Kai notebook. When her DIY attempt at curling her hair fails, she makes a trip to the hair salon to get a perm. But instead of the nice waves that she was going for, Jia Mo comes out of the salon sporting a head of really tight curls. She tries to hide her hair underneath her hood the next day at school, but Zhao Ye accidentally tugs it off, revealing her newly permed hair. 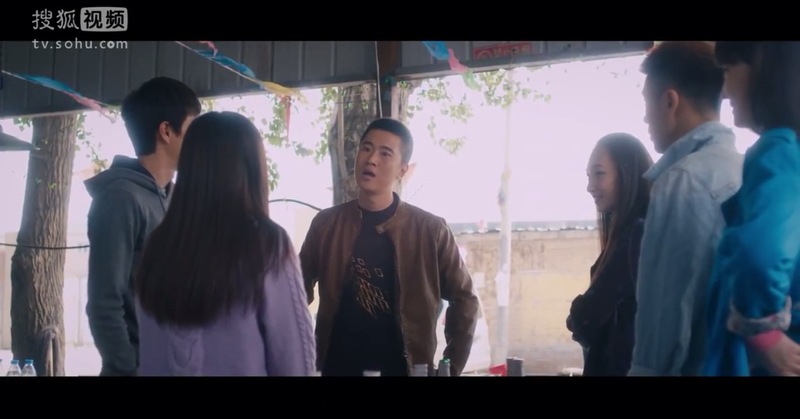 Zhao Ye can’t stop laughing over Jia Mo’s new hairstyle, and Chen Xun and Qiao Ran are just smirking to themselves silently because they’re polite. Zhao Ye sees the lanyard bracelet that Fang Hui gifted Chen Xun, and asks why he’s wearing such a girly thing and who gave it to him. Jia Mo sees Fang Hui looking fidgety and bails her out by saying that she gave it to Chen Xun. She pulls out two other bracelets, gives them to Qiao Ran and Zhao Ye so that it’s not awkward. Good friend! Later, Jia Mo asks Fang Hui how the bracelet that she helped her make ended up on Chen Xun’s wrist. She asks if she and Chen Xun are together, and Fang Hui denies it but Jia Mo knows what’s up. She says that she’ll exchange secrets with her, and tells her about her crush on Su Kai. Jia Mo asks for details on how Fang Hui and Chen Xun got together, but Fang Hui only gives her some non-scandalous details. Jia Mo shows her the Su Kai notebook in return. Fang Hui asks why she wants to know so much random info on Su Kai, and Jia Mo tells her that all of it will come in handy because only if you know about someone’s past can you grasp firmly onto their future. Fang Hui gets really quiet and contemplative when she hears this. The notebook to Su Kai’s heart. Chen Xun drops off Fang Hui at her house, and asks if Jia Mo knows about them. Fang Hui says that she figured it on her own. When she’s walking up the stairs, suddenly someone shines a light in her face. Then, the horror movie music kicks in as Fang Hui slowly moves up the stairs. On her front door, someone had posted a huge sign that says, “Blood Debt, Blood Repayment.” WTF? Let’s hope that’s red paint. Fang Hui flashbacks to a crowd of students surrounding an injured student that’s lying on the ground. She rushes forward to see him, and when she’s holding onto him, she sees Chen Xun in the crowd. He walks away from her and she’s calling out to him. Suddenly, she jolts awake from this nightmare. Is this a nightmare or a flashback? Hm. Qiao Ran comes across Fang Hui at the library and gives her back the copy of The Little Prince. These two need to find a new book to read. She sees her drawing a picture, and asks why the girl in the picture looks so sad. Fang Hui responds that she only draws what she thinks of. Qiao Ran, sensing that something’s not right, tells her that if she ever wants to talk, she can always come to him. Fang Hui asks him if he had a friend who did something really bad, would he still consider that person a friend. Qiao Ran thinks for a moment and says that it depends on who, but there are some people in his life that are so important that no matter what they did, they will always be his friends. Awww, Team Qiao Ran! Jia Mo and Fang Hui are watching Su Kai and the other boys play basketball. Zhao Ye goes over to get a drink from her, but she ignores him and beelines it for Su Kai. He asks her how she knew that he liked Red Bull, and she says that some girl in her class, “Gao Yi Yi,” gave it to him. Now, that’s bull. Zhao Ye’s new nickname: Mr. Invisible. When Fang Hui is leaving school, she sees these two random dudes messing with her bike. They come up to her and say, “Long time no see,” to her, so I guess that means they know each other. They ask her if they got her message from the other day. Aha! Chen Xun rides by while the guys are bothering Fang Hui, and he leaps off his bike and chases them away with a brick. He asks her what’s wrong and why she didn’t call for help. He tells her to tell him if stuff like this happens again, and that he’ll go after them for her. Fang Hui tells him that she’s fine and if he insists on going after them, then they should just stop being together. Whoa, drama. They don’t even go to this school! Chen Xun won’t drop it and keeps asking her what’s wrong. Fang Hui tells him it’s nothing and if there was anything, it’s none of his business anyways. Chen Xun then gets pissed and says that she’s his girlfriend so obviously anything that concerns her is his business. Then, she gets upset and the tears look like they’re about to start coming. Chen Xun softens his tone of voice and tells her that he is only so concerned because he cares about her. He wants to know more about who she was before they got together so that he can better understand her. Fang Hui asks her if the past is really that important, and walks away. While the Three Amigos are playing video games, Chen Xun asks Qiao Ran and Zhao Ye if there are two people who have a really good relationship, then does each person have the right to know about each other’s past. Qiao Ran says that he thinks the present is more important. Chen Xun thinks that if two people really trust each other, then they should be able to tell each other everything. Heart to heart over video games. At the music store, Backstreet Boys is playing over the speakers, and Jia Mo takes it as another sign for her and Su Kai. She tells Fang Hui to stop looking at the Leslie Cheung cassette tapes and that she should listen to the BSB ones instead. Fang Hui tells her that she doesn’t really like BSB (An NSYNC fan, no doubt. ), and that they don’t have to listen to the same music. Jia Mo counters that best friends always like the same things, and she offers to buy the BSB tape for her. Fang Hui keeps resisting, and Jia Mo gets angry, says that she doesn’t even treat her like a friend and storms away. Chen Xun finds Fang Hui sitting by herself in the stadium stands and asks if she fought with Jia Mo. She asks him if she’s a really difficult person to be around because there must be something wrong with her if she can’t even get along with someone as friendly as Jia Mo. Chen Xun tells her to stop blaming herself for everything, and says that there’s no rule that says friends have to like the same thing. He says that they don’t like the same things, but here they are, together. Fang Hui asks him why he likes her if they don’t like the same things. Chen Xun tells her that he likes that she’s dumb. Rude! She asks how is she dumb, and he says how can she not be if she doesn’t like people know when she’s being bullied or suffering. Fang Hui tells him that there are a lot more things that she hasn’t told him. She asks if he’s going to hate her for it. Chen Xun thinks for a second and says that he doesn’t hate her because he knows that she’ll eventually tell him everything. Jia Mo picks out a BSB poster at the music store and is happily skipping off to give it to Su Kai. To her surprise, she sees Su Kai and some other girl together chatting and laughing it up…and he’s already holding a BSB poster. Jia Mo is chilling on a bench alone, bummed out, when Fang Hui joins her. She starts to hum, “As Long As You Love Me,” and Jia Mo joins in with the singing. They sing together and make up from their earlier fight. Fang Hui’s voiceover says that friends who aren’t afraid to fight are good friends, and friends who can make up from those fights are the true ones. The 16-year-old versions of themselves would argue over the most trivial things, but in times of need, they were always there for one another. Chen Xun and Fang Hui meet up with a bunch of Chen Xun’s childhood friends. It’s clear that they’re all the “cool kids,” and Fang Hui is kind of feeling awkward around them. When one of his friends gets there late, Chen Xun introduces Fang Hui to him. But the moment Fang Hui and his friend see each other, they immediately tense up because they know each other. His friend gets really angry and tells Fang Hui to leave immediately. Fang Hui, also super upset, runs away. Chen Xun asks what the hell is going on and tries to chase after her, but his friend stops him. Chen Xun asks what was that all about, and his friend reveals that Fang Hui is responsible for his friend’s death. Oh damn. When Fang Hui and Jia Mo go to buy snacks for the basketball team, Jia Mo gets a bunch of bills back that have “SK” in the serial number. She thinks it’s a sign from the universe that she and Su Kai are meant to be together. Oh, these teenagers. Jia Mo pages Su Kai’s beeper(!) as Gao Yi Yi. Fang Hui asks who that is, and Jia Mo says it’s her secret identity, of course! During her fight with Fang Hui, Jia Mo tells Zhao Ye that she’s not angry with her because she doesn’t like BSB but because she doesn’t seem to pay any attention to her. Fang Hui and Jia Mo go to the guitar shop to pick out a present for Chen Xun. Fang Hui ends up getting a guitar pick for him, per the guitar teacher’s recommendation.